Workers at Stevenage Borough Council are getting ready to go back to the classroom this month to brush up on their education thanks to a project backed by UNISON learning reps.
More than 50 people from the Council’s Cavendish Road waste depot will start IT and literacy classes in courses provided on-site by the College of Haringey, Enfield and North East London (Conel). It’s taken months of hard work to get this important scheme off the ground. The Council first approached UNISON in April 2018 about how we could support staff with maths and English skills. Along with Conel, the Council and Unite, UNISON started working in partnership to help develop staff’s skills, quickly getting a guarantee that staff wanting to take advantage of the opportunity would get paid time off to take part. UNISON Eastern regional learning and development organiser Emily Sole said: “This has been a really great initiative. The project team decided to target the Cavendish Road depot and received a stunning response when they held an open day in September. Dozens of people expressed an interest in improving their numeracy, literacy or IT skills, with 54 ready to start training in the coming weeks. Since then assessments have been done, class lists put together and people are raring to get started later this month. And the nascent project is already getting some deserved recognition. At the Council’s recent Celebrating Our People annual awards, the adult literacy team – the Council UNISON and Unite – received the Collaboration of the Year prize. 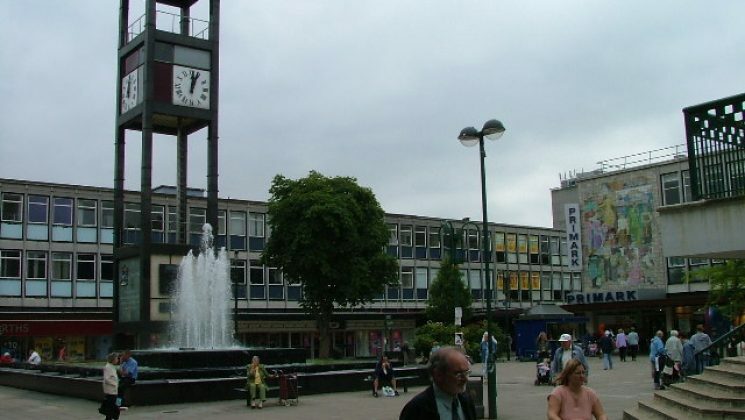 Stevenage Borough Council chief executive Scott Crudgington told UNISON: “Stevenage Borough Council are delighted to be working in collaboration with our trade union partners to offer this excellent learning opportunity. 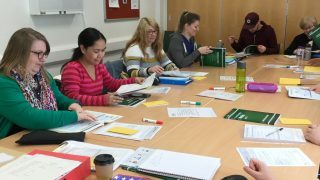 “We recognise the value of literacy and IT skills not just in the workplace, but also as a life skill in helping build confidence in colleague’s everyday lives”. Emily heaped praise on those who have got the initiative off the ground. “There has been a lot of hard work undertaken by the project team, which includes UNISON learning rep Helen Powell, and branch secretary Ann Tomlin, and provides a very sound foundation for future endeavours. Learning rep Helen added that there was a real “buzz” about the initiative that should inspire others to get involved in the future. “This is a fantastic initiative which has been supported at all levels within the council, by recognising the importance of functional skills and investing in their workforce, the council can be sure their staff have the skills they need now and in the future,” she said.